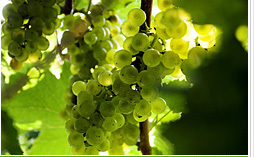 California Grapes - Welcome to the home of fresh California grapes. Here you will find recipes, health information and all the latest news about the fruit of the vine. UC Davis Cooperative Extension - Tulare County - See the various programs offered at the University of California's Cooperative Extension located in Tulare, CA. NRCS (Natural Resources Conservation Service) - This website contains the soil survey report of Tulare County, California, Western Part. Farm Service Agency - Stabilizing farm income, helping farmers conserve land and water resources, providing credit to new or disadvantaged farmers and ranchers, and helping farm operations recover from the effects of disaster are the missions of the U.S. Department of Agriculture's Farm Service Agency (FSA). Tulare County Agricultural Commissioner - Many facts about Tulare's agricultural industry are available through our complete Annual Crop and Livestock Reports. Kern County Department of Agriculture - View Kern County's Annual Crop Report. Walter E. Williams - Dr. Williams has served on the faculty of George Mason University in Fairfax, Virginia, as John M. Olin Distinguished Professor of Economics, since 1980. Central Valley Business Times - Probing the business of California's great Central Valley. Cost & Return Studies - UC Davis Department of Agricultre Cost & Return Studies. JCM Realty - JCM Realty specializes in the brokerage of agricultural properties in California's San Joaquin Valley.